Geography: Wales, Clwyd. Part of Flintshire council area. Main population centres: Mold, Holywell, Flint, Bagillt, Mostyn. Profile: To the south of the constituency is the inland town of Mold, the modern administrative centre of Flintshire, and at the top end is a small part of the Irish sea coast with the caravan parks around the Point of Ayr. The majority of the seat between these two is made up of gritty industrial towns along the Dee estuary, the large gas terminal for the Liverpool bay field, the industrial towns of Holywell and Flint and the village of Mostyn where the wings from the Airbus factory at Broughton depart by barge. Politics: This used to be a close marginal seat, held by the Conservatives until 1992. Having been stripped off most of its north coast tourist towns in boundary changes however it now leans heavily to Labour - a mainly industrial seat that the Conservatives could only win in an exceptionally good year. DAVID HANSON (Labour) Born 1957, Liverpool. Educated at Verdin Comprehensive School and Hull University. Former director of the Society for the prevention of solvent abuse. Vale Royal councillor 1983-1991, Leader of Vale Royal council 1989-1991. Contested Eddisbury 1983, West Cheshire 1984 European election, Delyn 1987. First elected as MP for Delyn in 1992. PPS to Alistair Darling 1997-1998, government whip 1998-1999, under-secretary of state for Wales 1999-2001, PPS to Tony Blair 2001-2005, Minister of State for Northern Ireland 2005-2007, Minister of State for Justice 2007-2009, Minister of State for Security and Counter-Terrorism 2009-2010. MARK ISHERWOOD (Conservative) Born 1959. Educated at Stockport Grammar School and Newcastle University. Former bank manager. Contested Member of the Welsh Assembly for North Wales since 2003. DAVID HANSON (Labour) See above. TOM RIPPETH (Liberal Democrat) Contested Wrexham 2010. NIGEL WILLIAMS (UKIP) Educated at Flint High School and Manchester Metropolitan University. Businessman, former policeman and teacher. There has been a lot of “ticket-splitting” in North Wales, particularly for the regional list ballot paper. Usually there have been 12 or 13 parties plus Individual candidates on the List ballot paper. Some Labour voters have deliberately voted for other parties on the list, and that can be PROVED by analysing the breakdown of the list parties. Barnaby is missing some vital facts when he makes his assessment, I suggest. l may be many things, but l don’t lack thoroughness when analysing constituencies. But you stick to your guns by all means. David Hanson contributing to the debate. Why do you think that ticket-splitting is in any way relevant to a Westminster election? I assume that people also split their Assembly votes before 2010 too, and it didn’t have a huge impact on the Westminster election. I actually think the Conservatives will do better in Clwyd South than in Delyn or Vale of Clwyd, but they won’t actually win any of them. Its pretty close in Vale of Clwyd. The big question is how big the UKIP vote be, and what will happen to the LIB Dem vote? Labour did fairly well here I think, given their disappointing night in most of Wales in general- though given this seat isn’t all that far from Cheshire and Merseyside over the border I suppose the Merseyside Effect might have had an impact on both here and Alyn and Deeside next-door. From a historical perspective, Labour performed very strongly both here and in neighbouring Alyn and Deeside in the 80s and 90s, perhaps explaining why during the 2000s and 2010s they’ve fallen back by quite a bit, but changing demographics might have something to do with it as well. 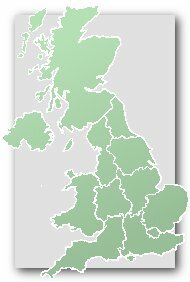 I had previously convinced myself there was a Merseyside Effect at work here at the moment given the static holds against the Tory challenge this time round, but now I’m not so sure any English influence from over the border is necessarily benefiting Labour in the long-run in North East Wales. I’m told that some Labour activists from Merseyside are helping here. Perhaps Rivers10 will know more? I assume it’s because a lot of Scousers have moved here and it’s fairly close rather than just because the MP was born in Liverpool. Lab did v well here in the locals and had a swing to them in 2015. My guess is they’ll now hold this and neighbouring Alyn & Deeside, but even on a generally good night in Wales are probably doomed in Wrexham and Clwyd South. Honestly not to my knowledge but I obviously don’t know all the goings on in Liverpool Labour. As far as I’m aware though all the Liverpool CLP’s along with Knowsley, Bootle and Sefton Central have been primarily focusing on the two marginal Wirral seats, some overly cautious work is being done in Ellesmere Port and some (probably overambitious) effort is being spent in trying to hold Chester and possibly gain Weaver Vale. Anything else is more likely than not just a one off trip, for example my CLP did a one off trip to help in Lancaster, one of the other CLP’s might have decided to help here as a one off? Jack S – well the Labour vote was identical in 2015. All that happened here is that UKIP surged. It’s where that vote now goes that’ll decide it this time. Rivers10 – thanks. Yes, on the Labour site if you search by post code most of the effort (sessions listed over the last week) appears to be Wirral West and West Lancs, with the odd session listed elsewhere eg in Maghull (Sefton C as you know), Ellesmere Port etc.